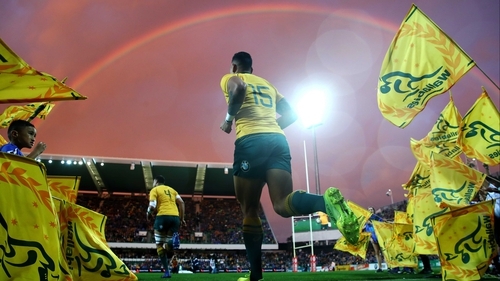 Rugby Australia confirmed this morning that it is pressing ahead with plans to terminate Folau's contract after its integrity unit ruled he has committed a "high-level breach of the professional players' code of conduct". The 30-year-old devout Christian said on his Instagram account last week that "hell awaits" for "drunks, homosexuals, adulterers, liars, fornicators, thieves, atheists, idolators." When asked if the fallout has made him reconsider his comments, Folau replied: "Absolutely not. I'll stand on what the Bible says. I share it with love. "I can see the other side of the coin where people's reactions are the total opposite to how I'm sharing it. Even if RA are unable to dissolve his contract on legal grounds - Folau has 48 hours to accept the union's breach of contract or refer it to a hearing - then he will not be adding to his 73 caps. When asked recently if he would pick his most dangerous attacking player, Cheika said: "You wouldn't be able to. "We had a discussion after the last time and made it pretty clear about his right to believe and our support in that, if that's what he wants, to be part of the team.